U-32’s Schedule: Forever Changing, For Better or Worse? The first schedule when U-32 moved to semesters. Many found this schedule confusing. Although the trimesters worked for some, not everyone agreed with the set up. “The downside to this was that there were some classes, let’s say French for example, that didn’t meet for a whole year at time,” Mark explained. 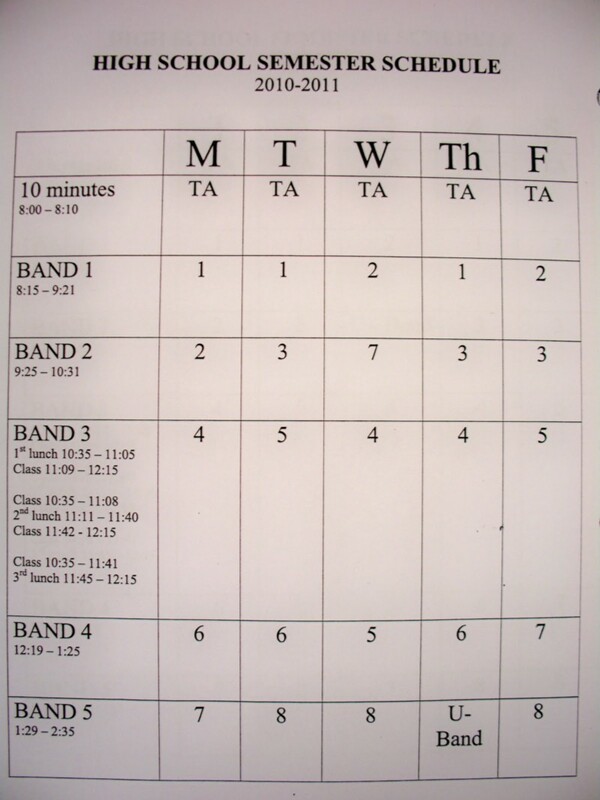 The school eventually got rid of the trimester schedule and moved onto a semester schedule with five classes a day. “I think the worst schedule I ever worked under was this schedule because the bands just jumped all around during the week, and I know I never mastered the schedule. I always was at a loss for where I had to be, and the entire thing was just chaotic,” Sarah Volinsky said. After complaints about the hectic schedule, the school moved to the one we currently have now. 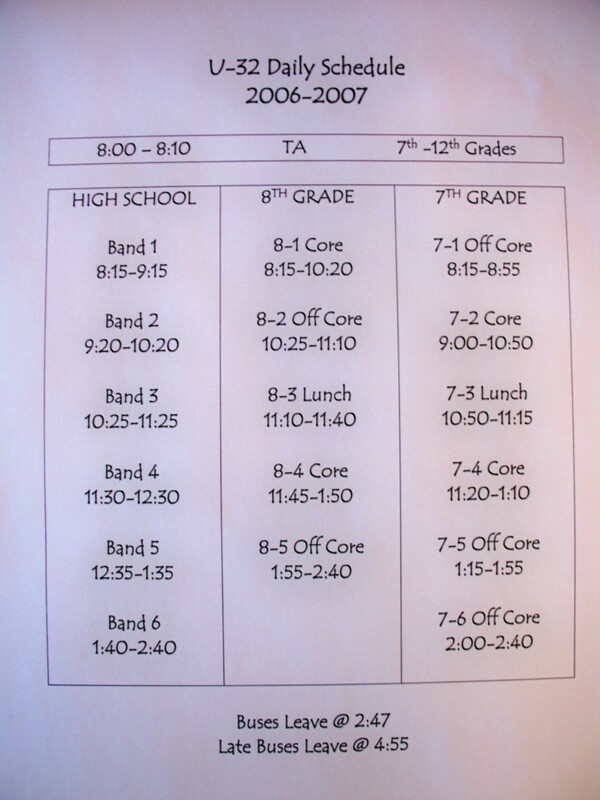 The daily schedule under the old trimester system. Good thing we got rid of that routine before Christiana got here. U-32 used to have high schoolers take lunch breaks in the middle of one class, but our current schedule no longer allows for that. The schedule seems to be forever shifting to find the perfect balance that works for everyone. However, “there is no perfect schedule,” Cathy concluded. The key is to pull the best things from each past schedule, and then try to fit them into one.